Royal Stewart Tartan flashes to tone with your kilt and hose. + The perfect finishing touch to your Celtic kilt and hoses. 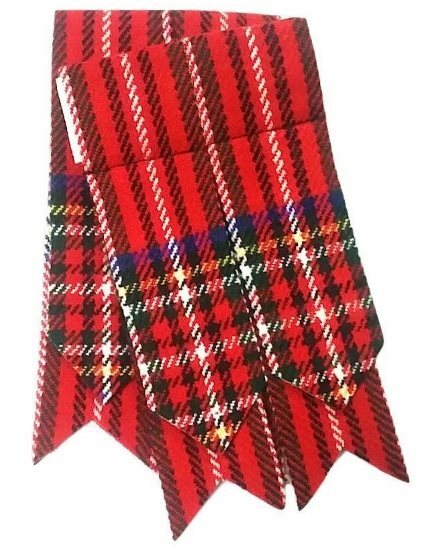 + Royal Stewart tartan flashes for your kilt socks, cut with traditional pointed ends. + Fits any adult leg size: the flashes come with elastic garters with velcro adjusters to tie around the calf.